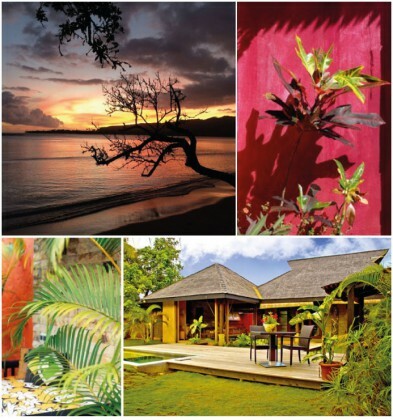 Coiled at the end of the Phaeton Bay tip, an hour’s drive from Papeete, four charming villas welcome guests. Mix of wood and stone, the brightly colored houses open to the gentle nonchalant Pacific trade winds and let themselves be overwhelmed by lush gardens. Whether we get lost in the contemplation of the clear waters of the bay or prefer to discover the art museum of Paul Gauguin, nearby, we can experience the Polynesian way of life. A dream that can become a reality for our dream readers with the launch of website “I will go to Tahiti”, a page that allows your to create an online gift-card inviting your friends to contribute towards a kitty, making all your travel dreams come true!